So many work silently and tirelessly behind the scenes with legislation, ICANN, etc. This could also be a domain professional that has shown success through hard work and diligence. This person never expects to receive accolades, rewards nor do they demand recognition for themselves. Participate in the extended online .GLOBAL premium domain auction. 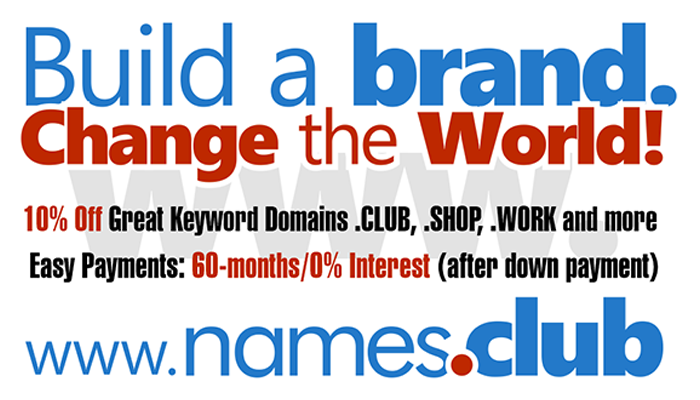 We are auctioning 70-80 .GLOBAL super premium domains, such as SOCIALMEDIA.GLOBAL and AIRLINE.GLOBAL. Following our highly successful London auction event on 24th June, we are now extending the online auction. The auction is open to all and the vast amount of the domains will carry a reserve of $5,000 or less (USD) and are subject to regular registration and renewal rates. We are pleased to announce that we are approaching 200 attendees for our .GLOBAL auction event in London. We have space for more, so register today at our auction website if you are in London on June 24. A live online auction will run concurrently with the physical auction allowing both international and local investors to participate. Information about pre-bidding can be found on our auction website. For those who are considering to bid in the online auction June 24, please register here. Participants who wish to bid at the physical event can register at the venue on the day. If you would like to participate in the Live Auction via phone or as an Absentee bidder, please contact us at nic@dotglobal.info. Very soon and prior for these domain names to be available at GoDaddy, It will be possible to acquire a domain name that suits your needs: the .GLOBAL registry is offering a live Premium domain auction in June, the 24. Within two weeks, 80 generic .GLOBAL super premium domains will be auctioned and their list is available here. I personally like shipping.global quite a lot. Prior to making a choice, I must admit that I also looked at .website and .web but I ended wondering whether a reader needs to be reminded he is viewing a website: I can see no identity in those two. Too late to apply for your new gTLD? Register a Premium domain name! I often think about all of these brands who did not apply for their domain name extension "because it was too expensive". Some even dropped it like the .HILTON new gTLD application. I still do not understand the reason of this. Of course, it is expensive to apply for a new gTLD but what about when you could have applied and now realize that you have missed the train. Did you register your .BID at GoDaddy.com? Check out this list of Premium .TRADE & .BID domain names available for auction. Coming in at number one on the list is Frank Schilling’s North Sound Names, which registered tens of thousands of names in his own TLDs in order to sell them at higher prices. http://domainnamewire.com/2014/06/05/frank-schilling-is-the-biggest-registrant-of-new-tlds/Did you register Uniregistry's new domain names your .DOMAINS at GoDaddy.com?